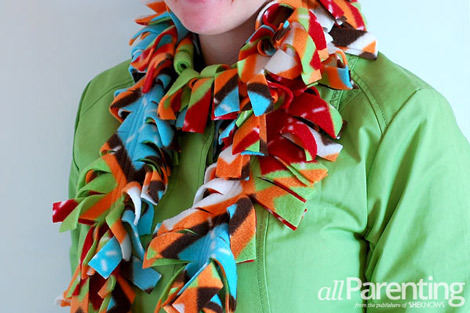 Baby, it's cold outside, but you can keep warm with a simple fleece scarf you can make yourself! 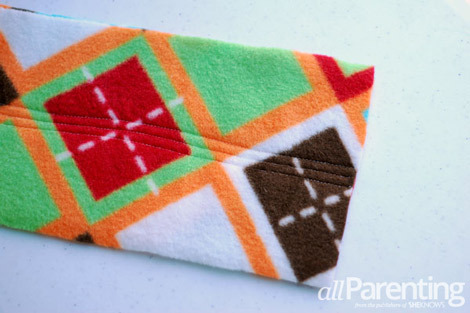 If you can sew a few lines with a sewing machine you can whip together this easy fleece scarf that is the perfect holiday gift for all your friends and loved ones. These days, everyone is trying to plan an affordable Christmas, and Pinterest is a wonderful source of inspiration for do-it-yourself holiday gifts. 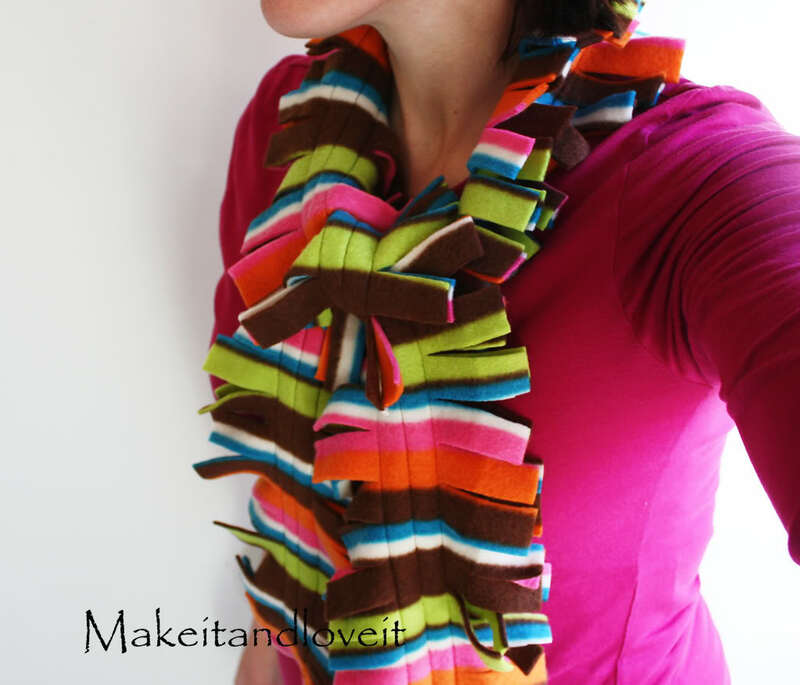 This easy fleece scarf tutorial inspired by Make It and Love It is the perfect blend of affordable and simple. 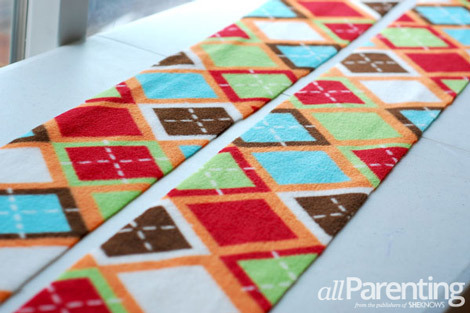 This craft comes together so quickly that you will be whipping up scarves for every person on your holiday gift list! 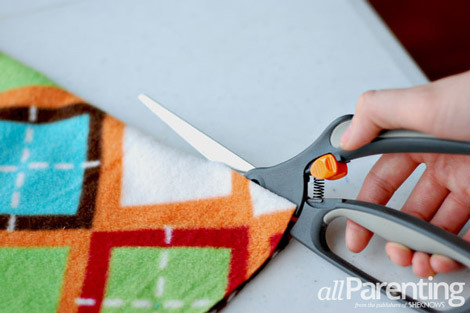 Cut your fleece in half lengthwise. 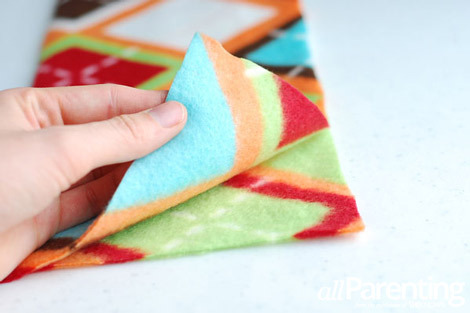 The easiest way to do this is to fold the fleece in half lengthwise and then cut the fleece along the fold. 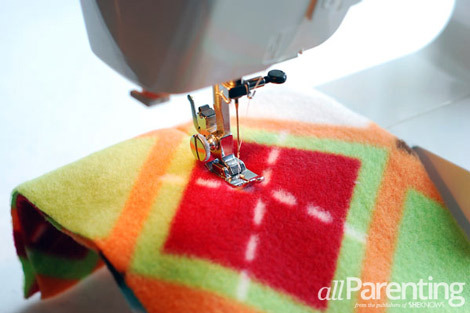 You should end up with two lengths of fleece that are 6-inches wide and 60-inches long. Lay the two pieces of fleece on top of each other with right sides facing out. 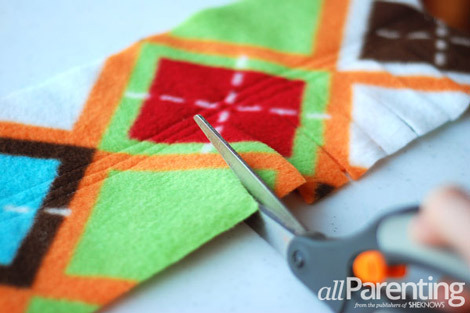 The pattern of some fleece is more vibrant on one side than the other, so pay attention during this step to make sure that the correct side of the fleece faces out. 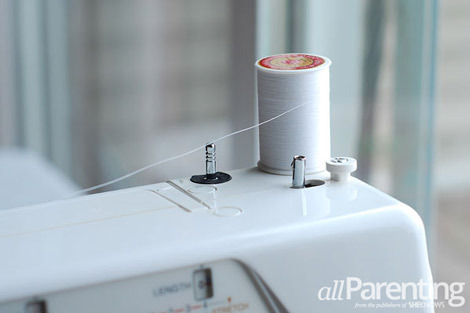 Thread your sewing machine with your coordinating thread. White happened to work well with my fleece, but the possibilities are endless. 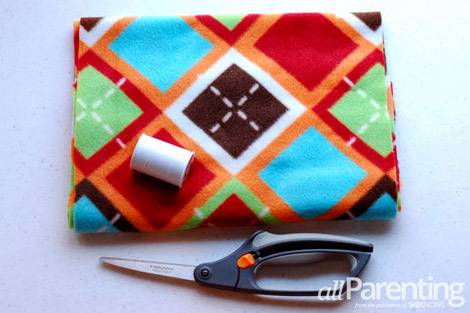 Starting at one end, sew a straight line through both pieces down the middle of the fleece. Sew all the way to the other end of the fleece. Sew two more lines on either side of the center stitch, about 1/2-inch away from the center stitch. Don't stress if you aren't the perfect seamstress. This project is very forgiving and any imperfections will vanish once the scarf is complete. Start cutting the edges of the scarf by cutting toward the center stitches, but be careful not to accidentally cut the center stitches. 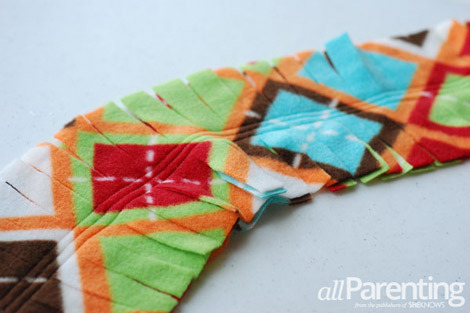 Cut along the edge of the scarf at 1/2-inch to 1-inch intervals. Keep cutting along both edges of the scarf until you have created all of your fringe. Put on your favorite coat and enjoy your new scarf!